Radius rod ball spring loaded accessory ball cap, ALL NEW, APCO style. This is an adjustable cap that replaces Part#2736. 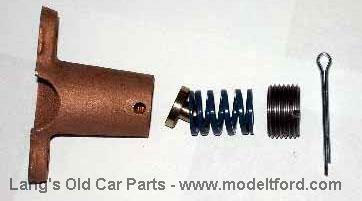 Includes inner spring, cup and adjustable plug. 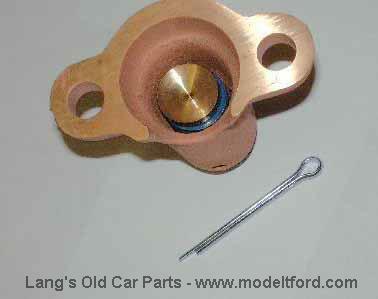 The original ball cap, radius rod ball and engine pan socket all wear over time. Loose ball cap can cause shimmying and steering problems. This adjustable cap applies continuous spring tension on the ball and will take up the play in these parts and make a safer more enjoyable car to drive. APCO accessory spring loaded drag link ball cap set.